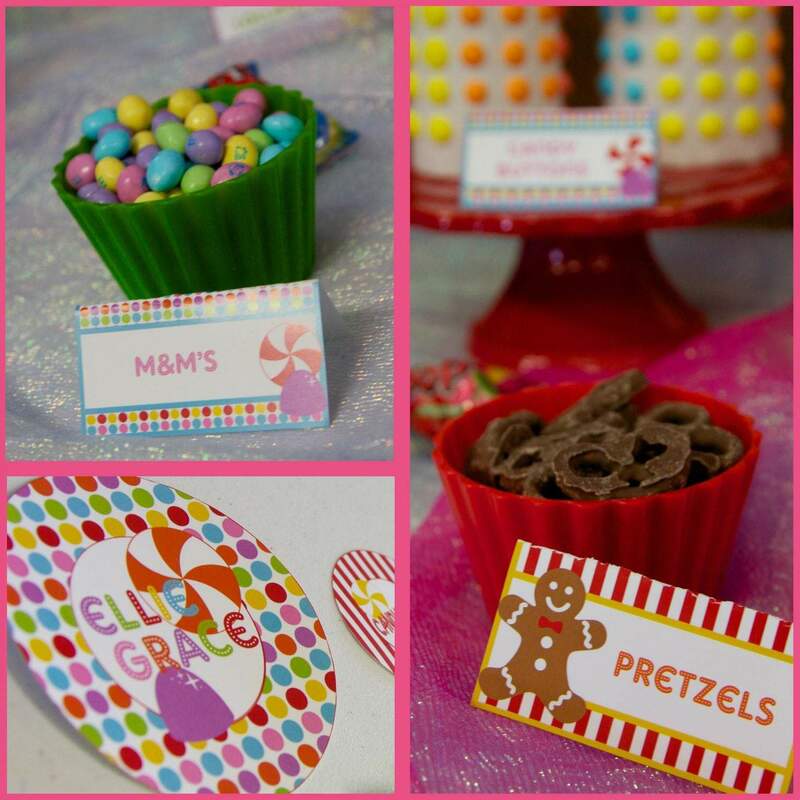 Candyland Party: Ellie and Amelia’s Sweet Event. Through gumdrop trees and over chocolate rivers…it’s a candy land party. 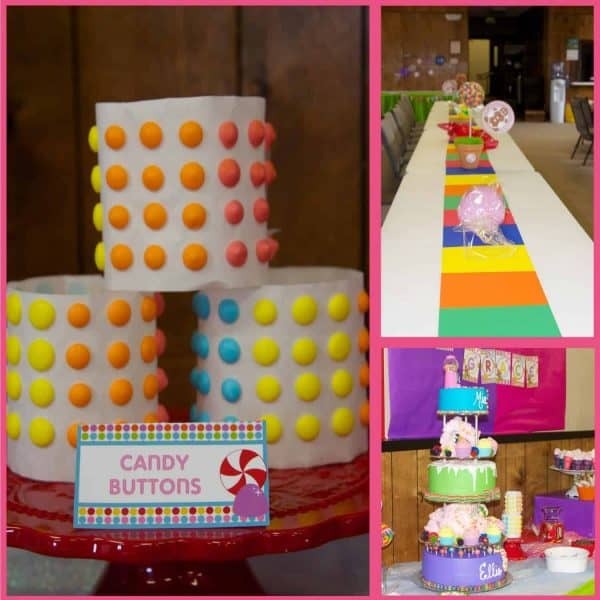 Candy and board games…now that’s a party! 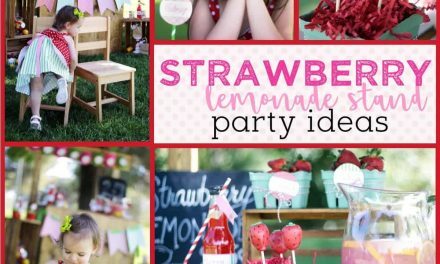 Looking for more game night party ideas? 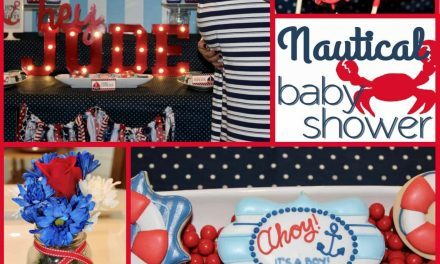 Be sure to check out this Monopoly themed game night party! We have this closet under our stairs that is a bottomless pit for board games. I think it is actually a board game graveyard, because we seriously never throw them away. Missing pieces, no problem. Can’t find the instructions, no worries…my husband will make them up. (He will also sometimes do this even if we do have the rules handy). Nathan ALWAYS volunteers to read the rules. Then he “explains” the rules. Half way through this process, I’m pretty much over playing the game. I have game A.D.D., I guess. See the thing it, I am married to THAT GUY. You know the one who puts 2-5 board games in the car whenever we go over to someone’s house “just in case” someone wants to play and then will drop less-than-subtle hints all night long than he has a “game if anybody wants to play.” He’s a little obsessed with the board games. 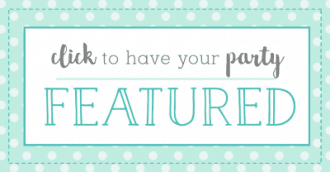 Especially the obscure ones. He has roped me into playing many the LOOOONG game with weird rules I never quite learn, probably because I stopped listening. I think his obsession with board games started in early childhood. With games like Chutes and Ladders and Candyland. 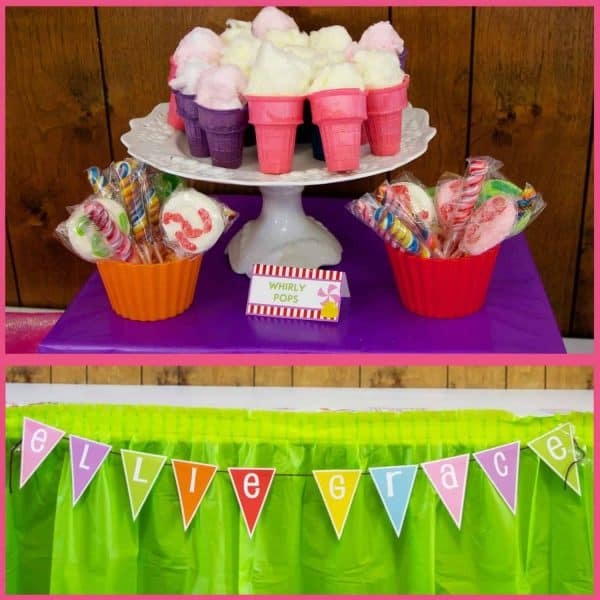 This party was throw by Amanda for her daughter Ellie Grace and her niece Amelia. All photos are courtesy of Amelle Photography. 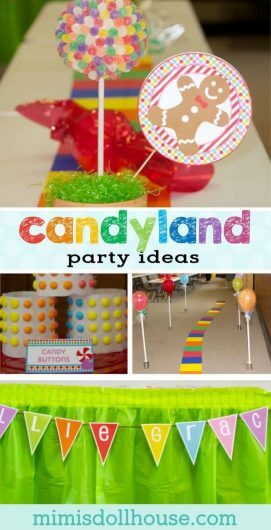 I love the cute Candyland path through the giant lollipops. 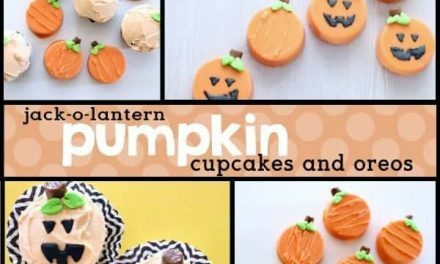 These are easy to make. 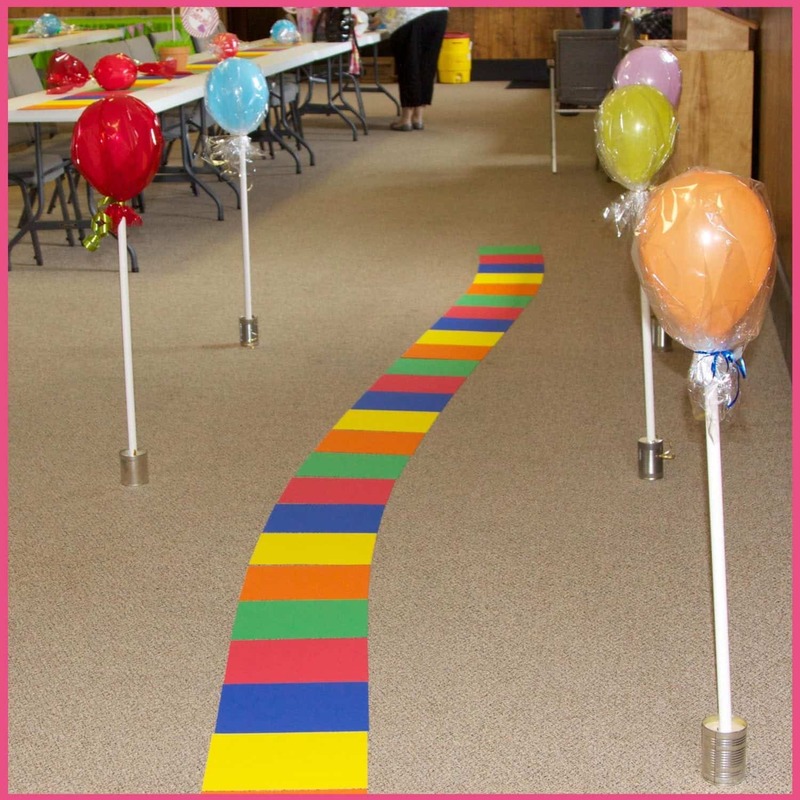 Colorful Balloons are attached to the top of pvc pipe or dowels. The balloons are then covered with plastic wrap and tied with ribbon to give it that wrapped candy look. Clever! 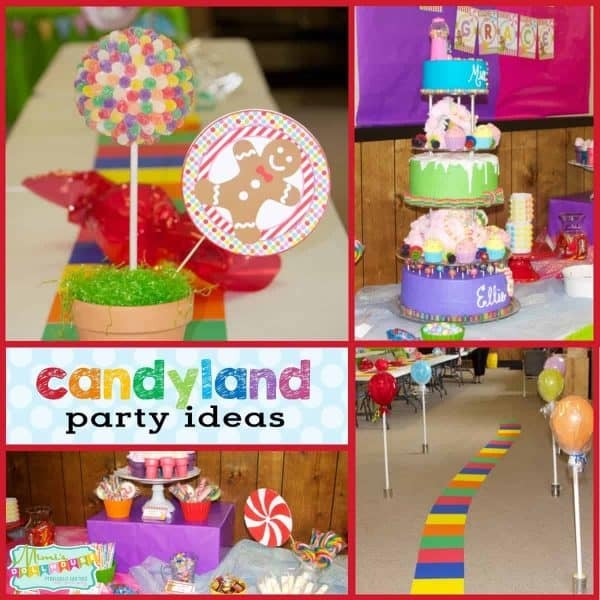 Want to throw a Candyland Party? 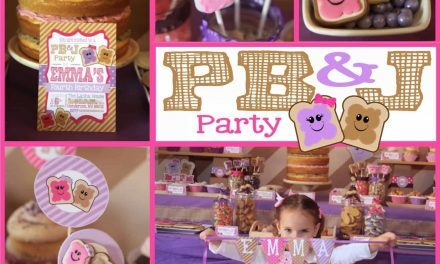 PB&J Party: My little peanut Emma turns four! !